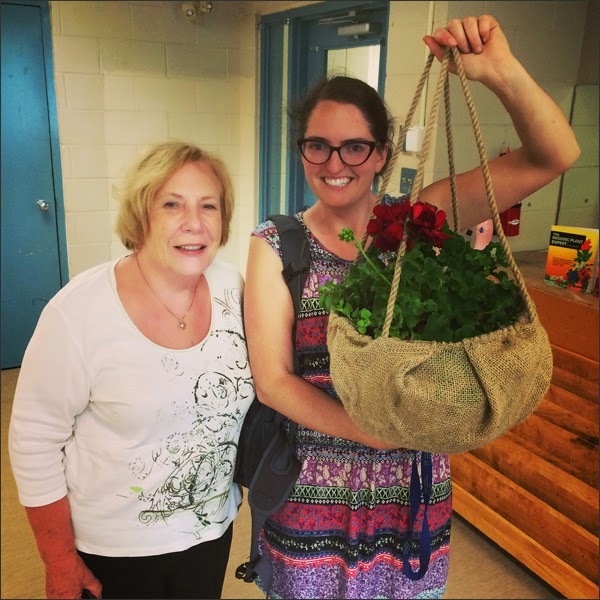 Thrifty By Design: GardenSmart upcycling workshop was a blast! 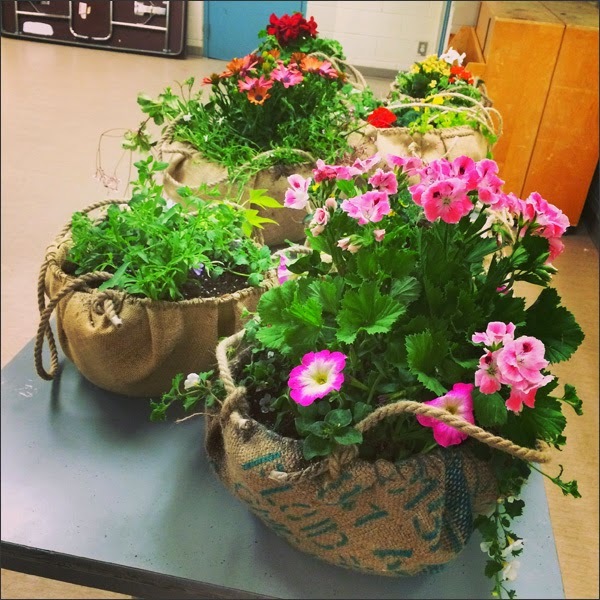 Thursday night was my first workshop in partnership with GardenSmart and it was AWESOME! 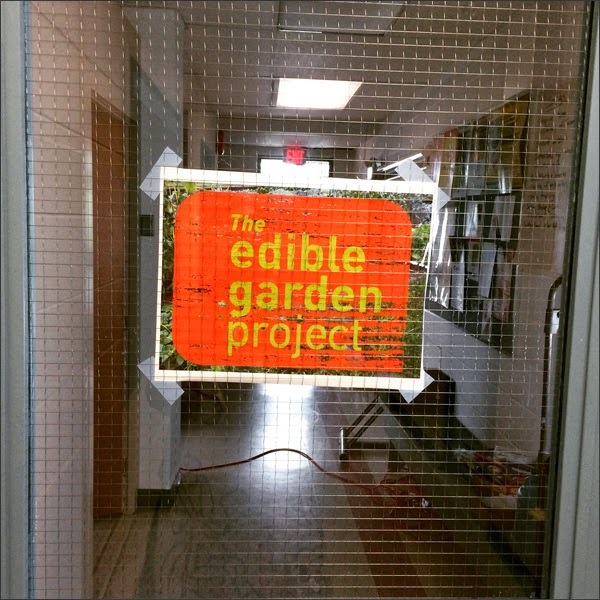 The GardenSmart Workshop Series is a collaboration between the North Shore Recycling Program, the Edible Garden Project (EGP), the Lynn Canyon Ecology Centre and Cultivate. I proposed an upcycling project and it was a go! Registrations were a bit slow then all of a sudden we had 8 participants. Yay! 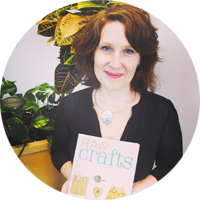 So stoked to be connected with GardenSmart - it's a FAB program run by pretty wonderful peeps. 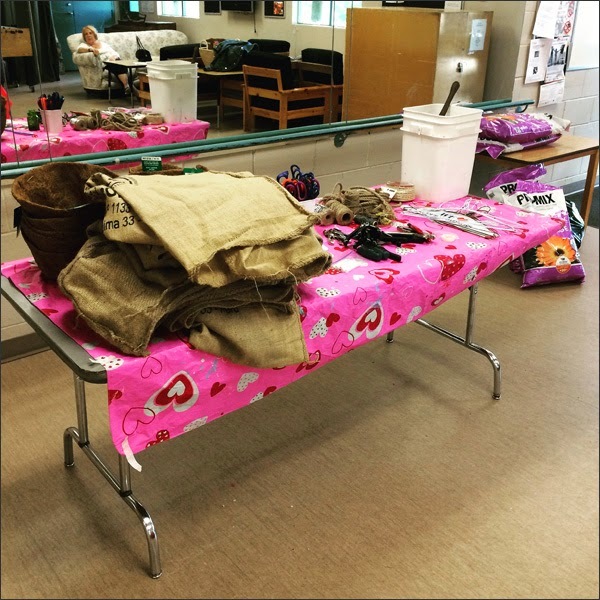 Emily, EGP's Program Manager, organized the day, location and registration for the class. She's so great to work with! I invited my Mom to be my go to girl if anyone had gardening questions so it was a Mom and daughter date so to speak. We got there early, set up and we were good to go! Here's my sample burlap hanging planter. It turned out so well! Love it when that happens. I've had some craft fails lately so nice to have an easy peasy DIY that turned out beautifully. We ended up only having 6 participants. 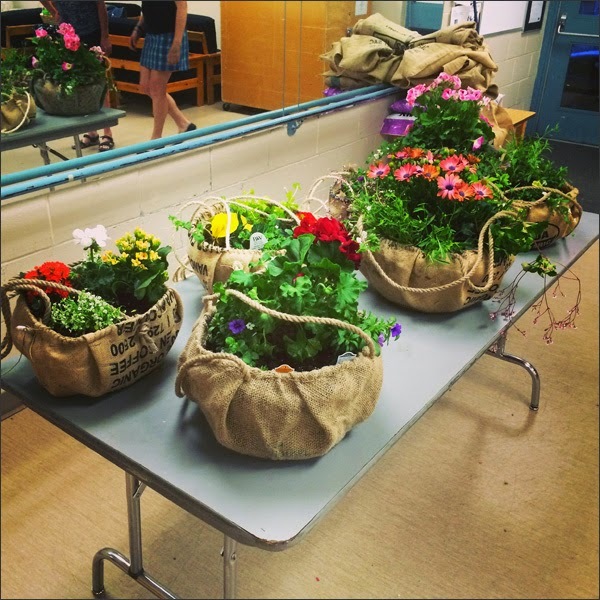 The group are close friends that booked a date night to craft with me and GardenSmart. They were fun, industrious and a teeny tiny bit silly. Loved all of them! I loved this one with the use of the colourful text and stripe. 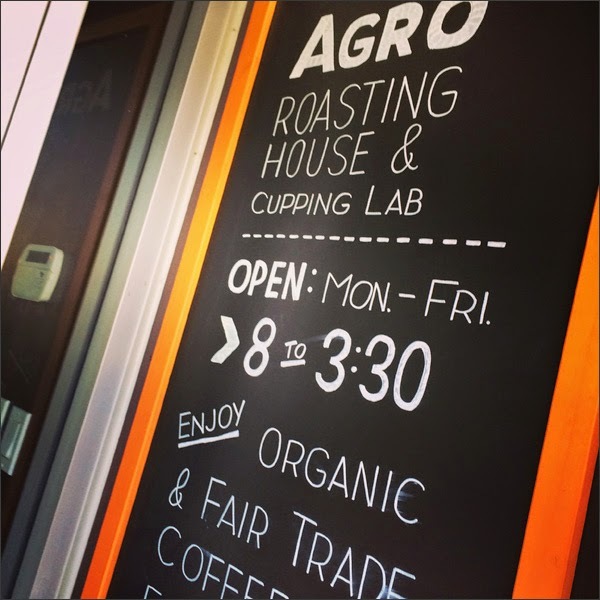 Big shout out to Agro Cafe at 550 Clark Drive. 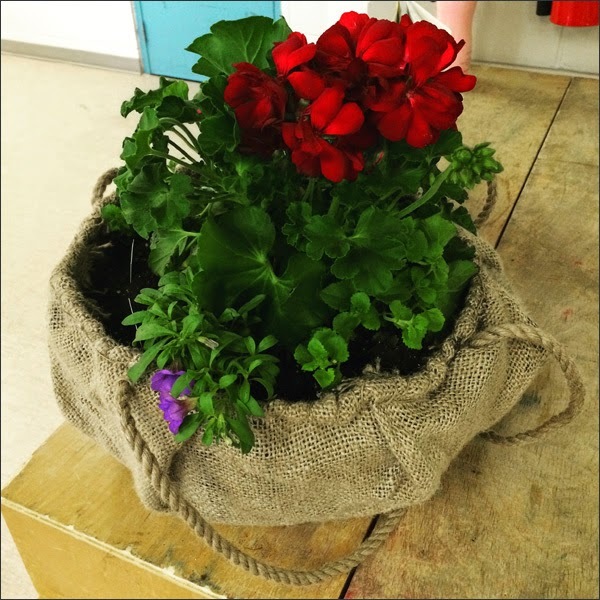 If you're looking for free burlap sacs to upcycle email Lee. 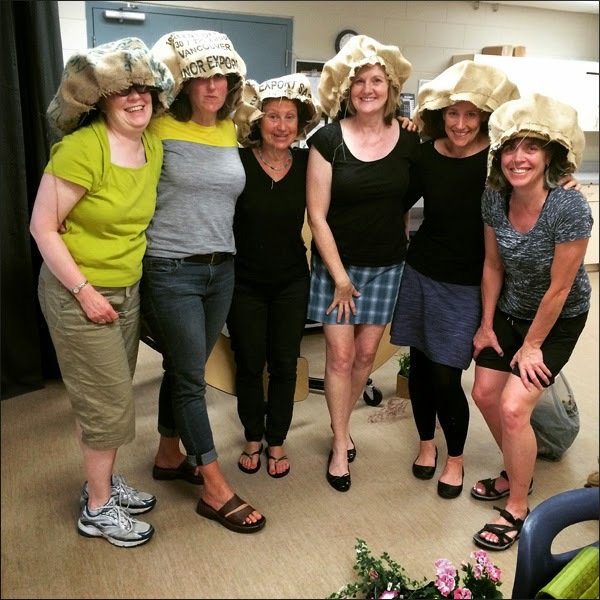 I picked up 12 burlap sacs Thursday morning for the workshop. 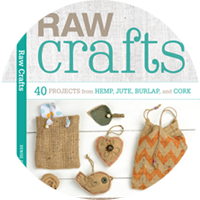 So now I'm back to DIYing for the crafty book. It's so close to being done. Phew!